Do you find yourself searching for your keys, phone, wallet or other essentials that seem to always get lost in your purse? 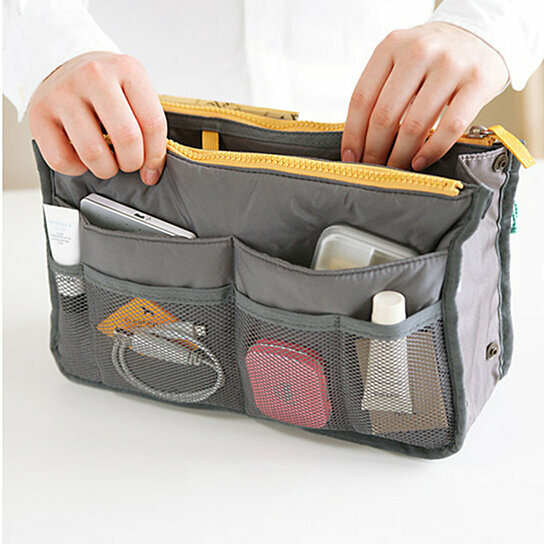 The Collapsible Purse Organizer is specially designed for people who have lots to fit in their purse and want to be able to access everything easily. With hidden handles to allow you to take the purse hanger in and out of your purse, you can easily switch purses and never leave something behind again! Dimensions: 7.3" x 3.3 " x 11.8"